When you buy a home, you’re in it for the long haul. You’ll have a mortgage payment for 15, 20 or 30 years, so it’s smart to shop around to find the best mortgage lenders out there. Below are five tips to help you hunt for the best mortgage lender. Read more about each tip here. Get your credit score in shape. The higher your credit score, the more bargaining power you’ll have. Know the mortgage lending landscape. We’ve done some of the homework for you below. Get preapproved for your mortgage. Boost your chances of having your offer accepted by getting preapproved. 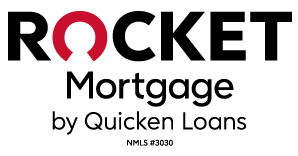 NerdWallet has researched some of the best available major national mortgage lenders to help you quickly find the right lender for your needs. Ideal for tech-savvy home buyers and refinancers in its multi-state lending territory. Lenda's automated lending platform offers round-the-clock access to application and loan-management tools. Ideal for first-time home buyers or those with weaker credit. CitiMortgage, a large-scale lender with a full menu of home loan products, offers low down payment options and considers alternative credit data. To get a jump-start on the mortgage loan process, use these five tips to find the best lender for you. Not everyone can qualify to buy a home; you have to meet certain credit and income criteria to assure mortgage companies you can repay the loan. » MORE: Create an account for personalized credit building tips. A low credit score signals that lending to you is risky, which means a higher interest rate on your home loan. The higher your credit score and the more on-time payments you make, the more power you’ll have to negotiate for better rates with potential lenders. 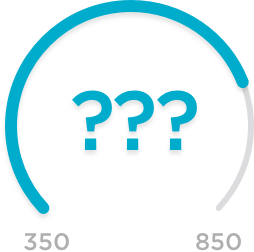 Generally, if you have a score under 580, you’ll have a tough time qualifying for most types of mortgages. To build your credit score, first make sure your credit reports are accurate and free of errors. Get your report from the three major credit bureaus: Equifax, Experian and TransUnion. Each is required to provide you with a free copy of your report once every 12 months. Next, try to pay off high-interest debts and lower your overall level of debt as quickly as possible. By lowering your debt, you’ll improve your debt-to-income ratio. Paying off credit cards and recurring loans before you buy a home will also free up more money for the down payment. Credit unions: These member-owned financial institutions often offer favorable interest rates to shareholders. And many have eased membership restrictions, so it’s likely you can find one to join. Mortgage bankers: They work for a specific financial institution and package loans for consideration by the bank’s underwriters. Correspondent lenders: Correspondent lenders are often local mortgage loan companies that have the resources to make your loan, but rely instead on a pipeline of other lenders, such as Chase, to whom they immediately sell your loan. Savings and loans: Once the bedrock of home lending, S&Ls are now a bit hard to find. But these smaller financial institutions are often community-oriented and worth seeking out. Mutual savings banks: Another type of thrift institution, like savings and loans, mutual savings banks are locally focused and often competitive. Check if each lender you consider is registered in the state where you’re shopping. You can do that through the Nationwide Multistate Licensing System Registry. Also, search the Better Business Bureau for unbiased reviews and information. Getting a mortgage preapproval letter before you start looking at houses will give you an edge when bidding against other buyers. The letter shows the seller that you’re a serious buyer whose loan is likely to close. It’s evidence that a lender has evaluated your finances and figured out how much you can afford to borrow, and therefore how much house you can afford. Getting preapproved now will also save time later. When you’re ready to make an offer on a home, lenders will already have the information they need to process your home loan. Get preapproved by more than one lender. Then you can compare Loan Estimate forms from each one to determine who offers you the best rates and terms. Start by searching for the best mortgage rates online. Keep in mind that the rate quote you see online is an estimate. A lender or broker will have to pull your credit information and process a loan application to provide an accurate rate, which you can then lock in if you’re satisfied with the product. Once you have several quotes in hand, compare costs and decide which one makes the most financial sense for you. Use your research as leverage to negotiate for the best mortgage rates possible. While there’s more to finding a good lender than picking the lowest rate, that doesn’t mean the rate isn’t important. The total interest you pay over the life of the loan is a big figure, and a low rate can save you thousands of dollars. How do you prefer to communicate with clients — email, text, phone calls or in person? How quickly do you respond to messages? Also, check with your mortgage lender or broker if buying discount points to lower your rate makes sense. If you buy points, you’re paying some interest upfront in exchange for a lower rate on your mortgage. This might be a good move if you plan on living in the home for a long time. Principal and interest payments on a mortgage aren’t the only costs of buying a home; you should ask your lender about others, including closing costs, points, loan origination fees and other transaction fees. If you’re unsure of something, ask for an explanation. For more on those fees, see Mortgage closing costs explained. Most mortgage lenders will require an “earnest money” deposit to start the loan process. Ask the lender to specify under what circumstances the earnest money cannot be returned, and if the answer is vague, keep shopping around. Always examine the fine print on your loan documents. These will tell you the exact finance terms, who pays which closing costs, what items are and aren’t included with the home, whether there’s a home inspection contingency, the closing date and other important details.